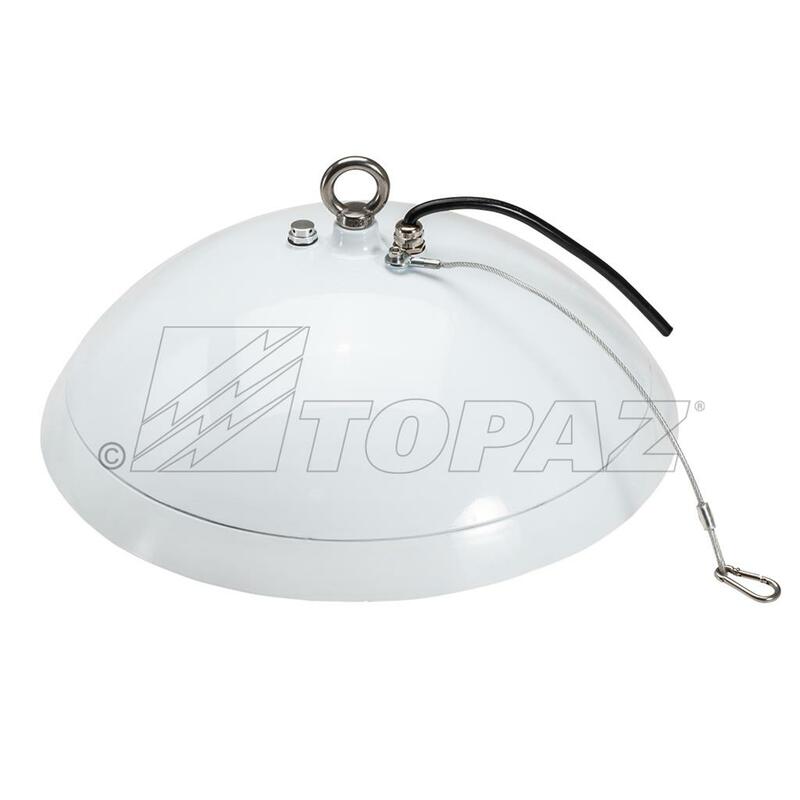 Topaz’s 200W LED High Bay Splashdown Series fixture delivers 26,000 lumens and can be mounted at a height of 25’- 35’. This fixture is ideal for food processing facilities, agricultural and high ambient temperature locations. 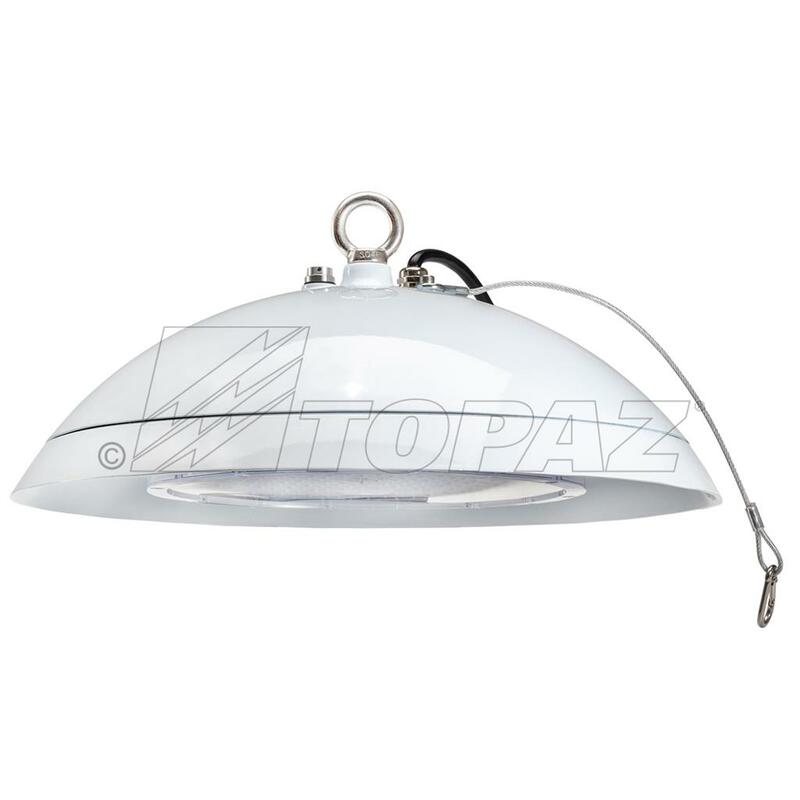 Smooth body with cast aluminum construction makes this fixture able to withstand high temperature and high-pressure water, while avoiding dust and water accumulation. 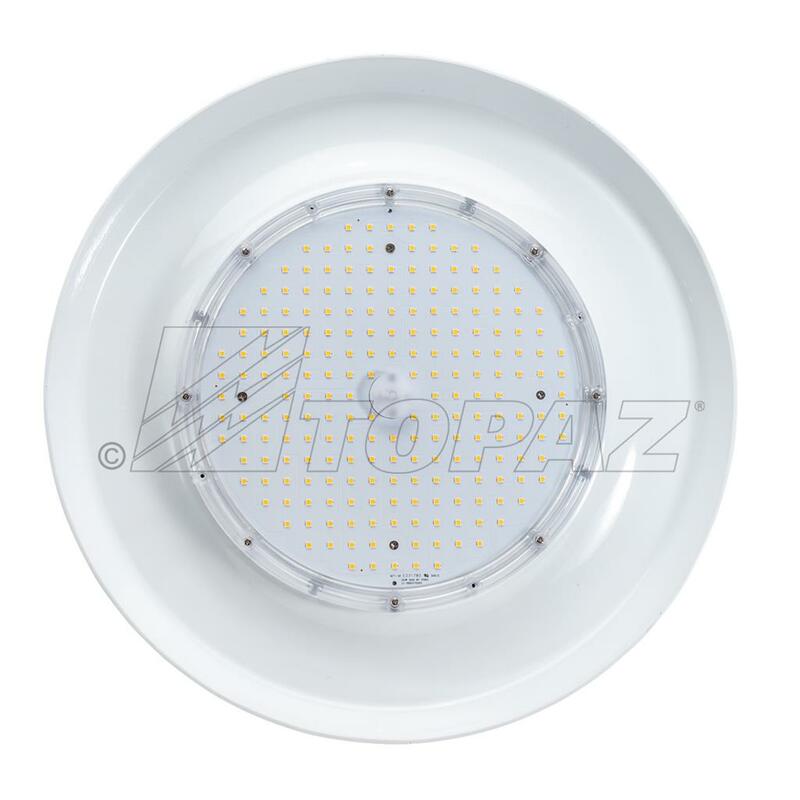 NSF certified for food production, the impact resistant polycarbonate lens is made to meet the stringent requirements of food processing and industrial machinery applications. 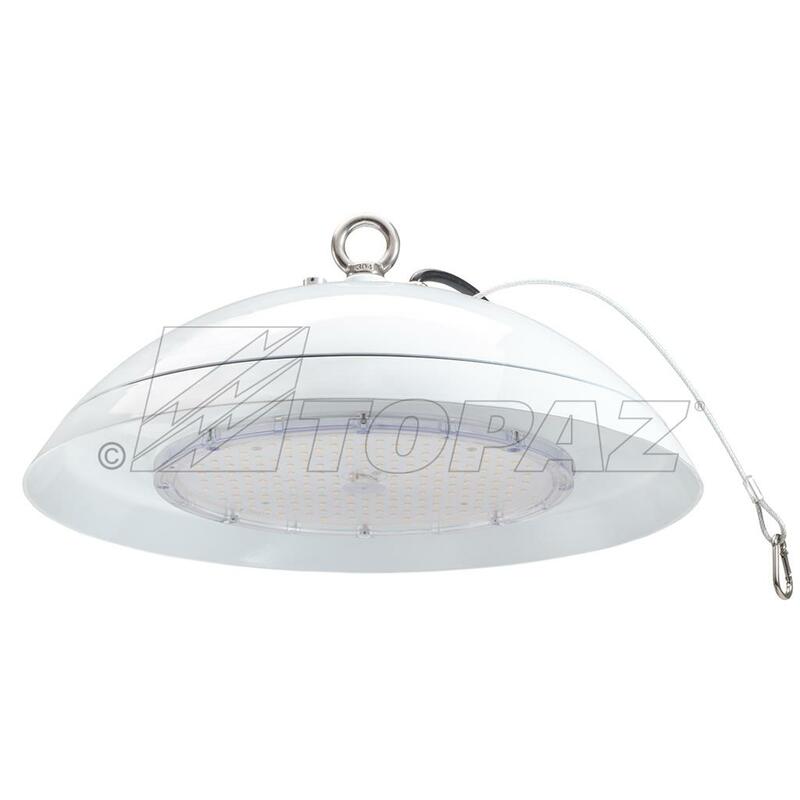 Suitable for wet locations, warehouse, industrial lighting, big box retail and cold storage facilities. 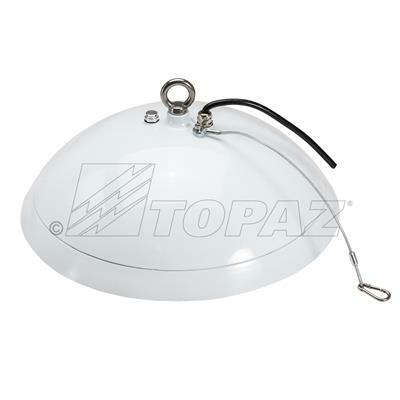 Comes with ring hook and 6-foot power cord for easy installation and a 3-foot safety cable.